Opening Day saw Moscow drubbing Bern 12-1, while Stockholm defeated Vilnius 6-1. 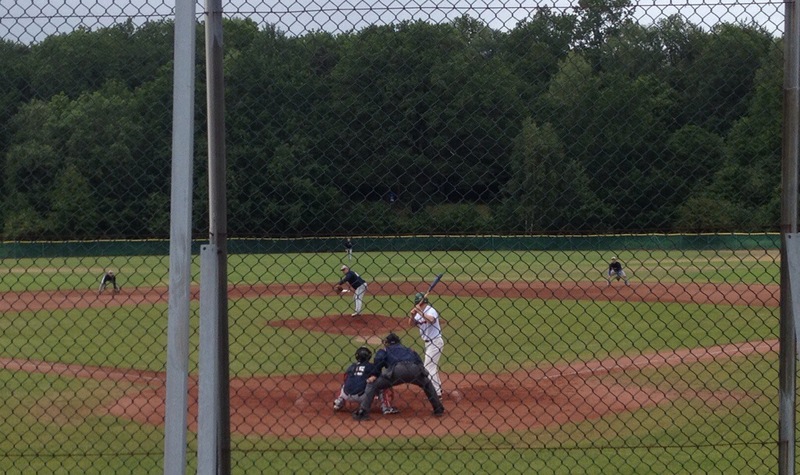 Defending champs Stockholm remain undefeated after the second weekend of the 2014 Swedish baseball season. 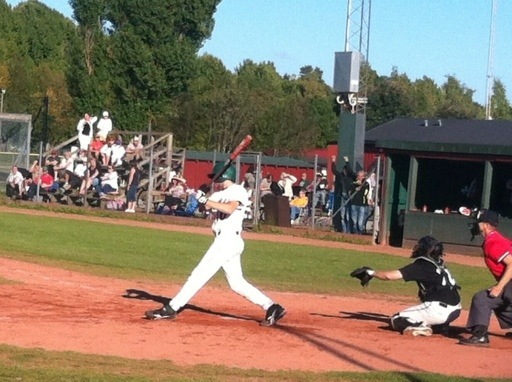 Stockholm easily defeated Göteborg in both ends of Saturday’s doubleheader, 10-0 and 11-2. Game 1 was a truly weird experience after Göteborg took out starting pitcher Jason Norderum in the fourth inning, after he had held Stockholm to just 1 unearned run and no hits. His replacement, losing pitcher Mathias Johansson, had an interesting variety of arm angles, but was extremely wild. How often does one see a batter hit by a pitch TWICE in the same at-bat? Stockholm’s Matt Merrifield was hit by a pitch from Johansson, but the umpire ruled that Merrifield had either not done enough to get out of the way, or actually put himself in the way of the ball. Two pitches later Merrifield was hit again, and that time was awarded first base. 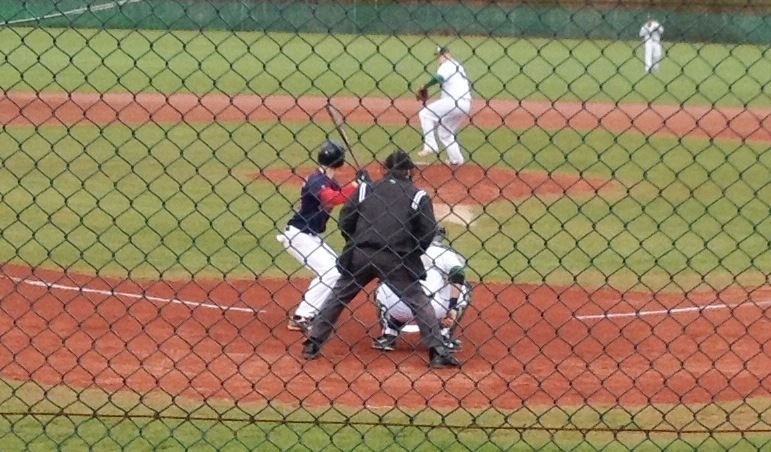 Merrifield was then hit again by a pitch on his next at-bat.